Jan 12: Tru, solo: Country Meadows, Woodburn, 3 pm. 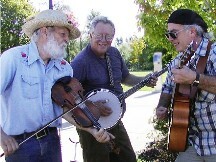 Feb 18, Sunday: Jam, about 8 of us, at Old World Deli, 341 SW 2nd Street, Corvallis, 1-3:30 pm. March 11, Sunday: Jam, at Old World Deli, 341 SW 2nd Street, Corvallis, 1-3:30 pm. March 18, Sunday: Jam, at Old World Deli, 341 SW 2nd Street, Corvallis, 1-3:30 pm. May 1, Tues.: Truman: Corvallis Schools Spring Field Day, Beazall Park in Kings Valley 10-2. May 3: Tru, solo: Country Meadows, Woodburn, 3 pm. May 8, Wed: Truman: Corvallis Schools Spring Field Day, Newton Creek, Philomath 10-2. May 15, Tues: Truman: Corvallis Schools Spring Field Day, Beazall Park in Kings Valley 10-2. 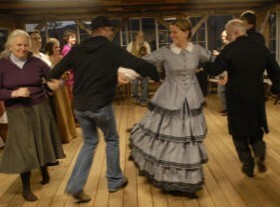 Aug 11, Sat: Barn Dance at Champoeg State Park, 6-8pm; in the old barn near the Visitors Center; as part of Grain Harvest day, with many pioneer events all day; music by Worn-Out Shoes. Sept. 14, Fri: (with Gumbo- Sid Beam, Joe Caprowiak on clarinet or banjo); Sunnyside Up Cafe, Corvallis, 116 NW 3rd st; benefit for ROPnet; 6-8 pm. Oct 6, Sat (TENTATIVE! ): (True West) at Old World Deli, Corvallis, for Oregon Trail Brewery anniversary party. Oct 10, (Tru), for Outdoor School, Camp Tadmor. Oct 19, (Tru), for Outdoor School, Camp Tadmor. Oct 27, Sat: (Tru, solo) Wedding Reception, Eugene. Dec 13, Thurs: Corvallis: Ultimate Vaudeville Show, 6:30, Majestic theatre. Tru in lobby 6:45-7:15, then with Gumbo @8:30 and Finale.